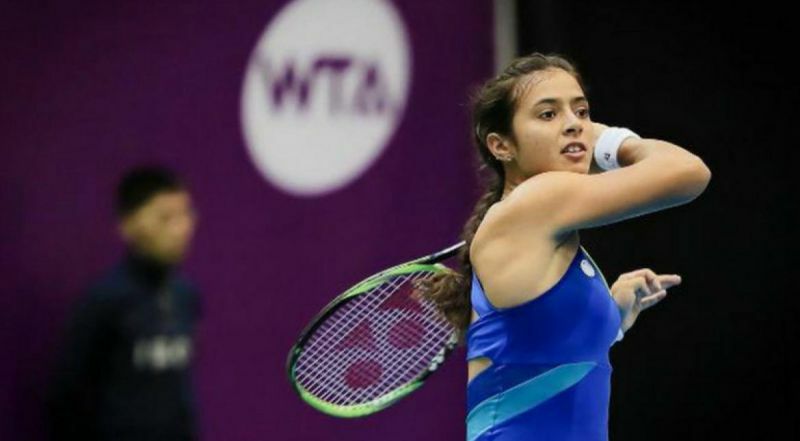 Ankita Raina today confirmed just the third singles medal in women's tennis for India at the Asian Games as she reached the semifinals after being 1-4 down at one stage. India's top-ranked women's singles player, Anikta breezed past Eudice Chong 6-4 6-1 of Hong Kong in their quarterfinal match. She won the first set in 54 minutes and took only 27 minutes to claim the second set. Raina came back from behind to take the first set 6-4 against Chong of Hong Kong. Raina was trailing 0-3 and 1-4 at the beginning of the match before staging a comeback. Raina thus assured herself of at least a bronze medal.